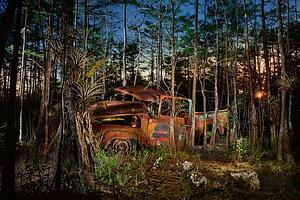 Through a series of photographs—captured mainly at night—this exhibit explores the interaction between man and nature as seen through environmental portraits of vehicles long abandoned in the Everglades ecosystem. Over the years, these man-made objects have become a part of the cycle of life as flora and fauna grow around and literally through them. These images show a hidden side of the Everglades and speak concurrently to mankind’s attempts to conquer the Everglades. Photographer Matt Stock loves capturing the unique aspects of that vast and important ecosystem at night utilizing a hyper-realistic nighttime technique referred to as “painting with light.” You can check them out at the Marco Island Historical Museum. What’s your Marco Island story? That’s what the Marco Island Historical Museum wants to know! Each person has their own story to tell, but together, these stories shape our community and its identity. I Remember Marco is an interactive exhibit that invites you to share your stories, thoughts, and recollections about Marco Island and its history. Help curate the exhibit through custom social media and photo opportunities, interactive question stations, and memory-inspiring artifacts and images—all while creating entirely new Marco memories. 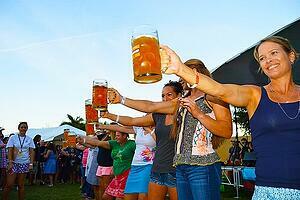 This craft beer festival features over 30 craft beers and live music by Pub Mustard, 1 to 4 PM on October 19th. It's located at Mercato in Naples, Florida. Tickets cost $30 in advance or $35 at the gate. If you love beer, this is the perfect event for you. Visit their website to get your tickets: www.rmhcsfl.org. 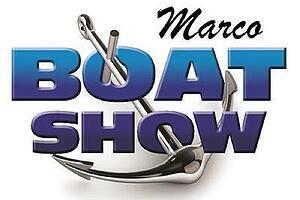 Don't miss the Marco Island Boat Show, October 12-14 at Rose Marina. The Marco Boat Show is owned and managed by the Marine Industries Association of Collier County and is the largest in-water premier recreational shows in the Naples-Marco Island area. Admission is $5 and children under 12 are free with paying adult. Free onsite parking. The "First Bite" Menu Release Party is presented by and hosted at the all-new Mercedes-Benz of Bonita Springs. This premier event will showcase the amazing culinary skills of our local SWFL chefs and restaurants at the new Mercedes-Benz of Bonita Springs (14610 Tamiami Trail North Naples, FL 34110). Complimentary valet parking, "First Bites" from over 25 participating Sizzle SWFL Restaurant Week restaurants, meet & greets with the chefs, all-inclusive craft beers, wine, soda/water, live music entertainment and a chance to bid on the silent auction items to benefit the Sizzle SWFL FGCU Food & Beverage Scholarship Fund" that directly benefits local SWFL students attending the FGCU Hospitality Program. Hurry because there are only 525 tickets available! Now in its tenth year, the Naples International Film Festival is a place for film lovers to connect, exchange ideas and celebrate the art of film in a friendly, welcoming environment. The festival hosts more than 60 screenings over four days, introducing new, exciting films, and often their talented creators, to our community. NIFF presents a carefully curated program of approximately 50 domestic and international narrative, documentary and short films from established and emerging filmmakers. 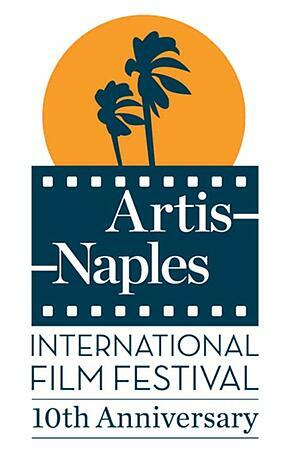 The opening night film and party take place on the Artis-Naples cultural campus. Competition films screen at the Silverspot Cinema, a luxury boutique theater with state-of-the-art digital projection and sound. Click here for additional information.